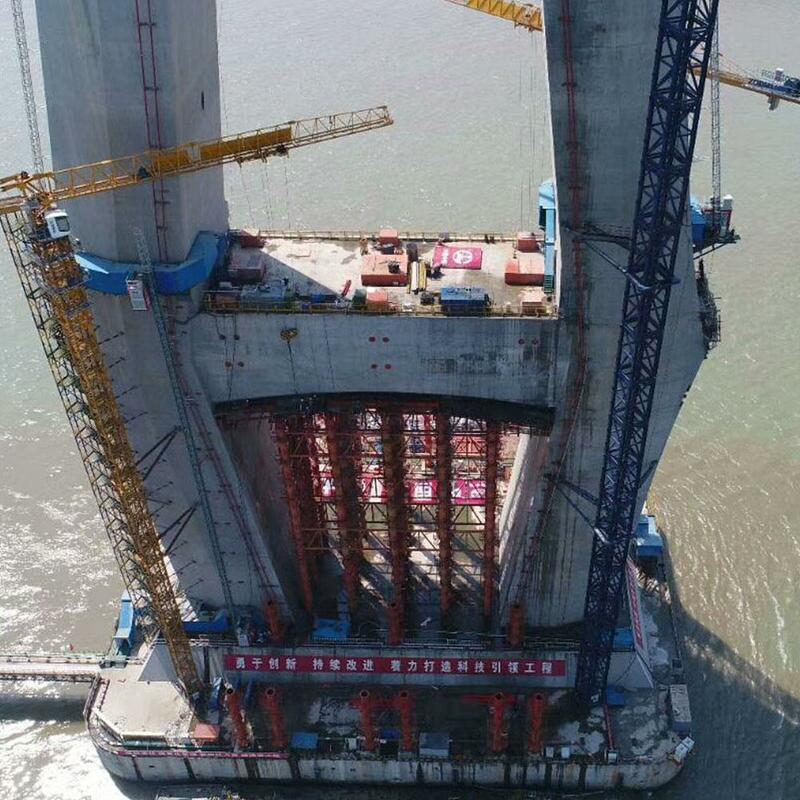 Hutong pylon will be with 325 m height the tallest pylon on earth. 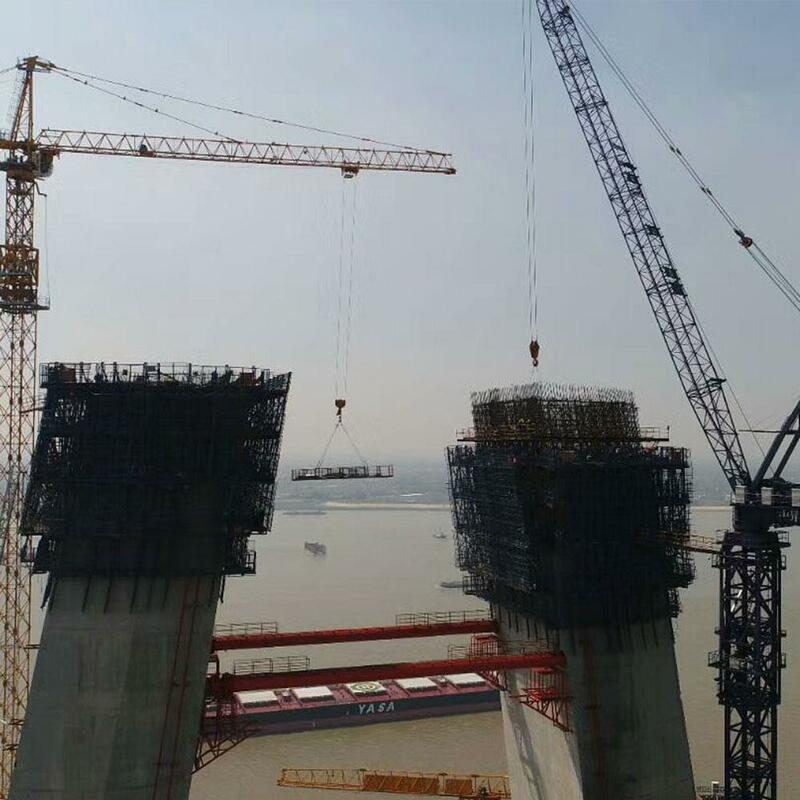 Shanghai-Changjiang River Bridge is a new Shanghai-controlled railway project, with total length of 11,072 meters. 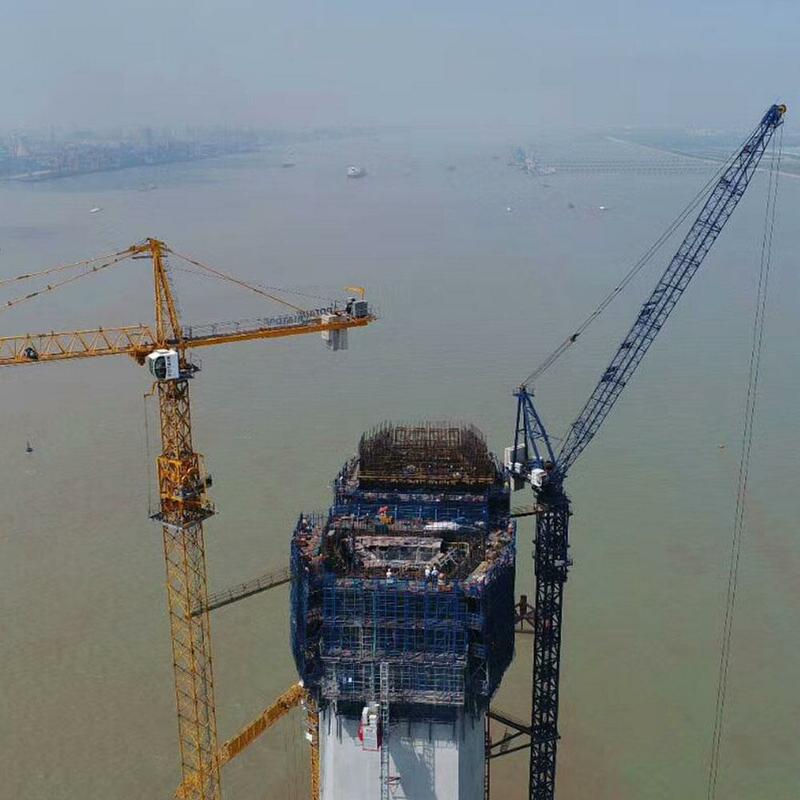 The link will be the world's tallest dual-use cable-stayed bridge, with main span of 1,092 meters. The bridge is divided into two layers, the lower with 4-line railway, the upper with 6-lane highway. 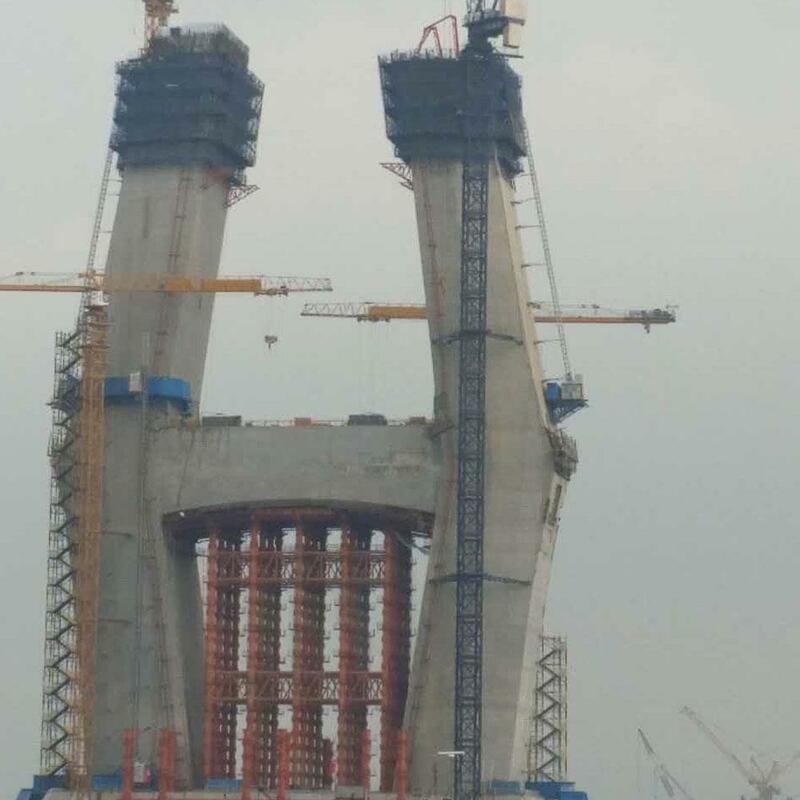 Diamond-type concrete bridge pylons are 325 meters high. Based on the world's largest deep water sink foundation equivalent to 12 basketball courts and 115 meters depth. no plywood exchange - a big challenge for the Doka design team. 30 pieces automatic climbers SKE100 plus with telescopic platform adapt easy to geometry changes at each pylon leg. With 1 piece Hydraulic unit V140 the platforms climbing all together, ensure high safety and always 100 % covered solution. 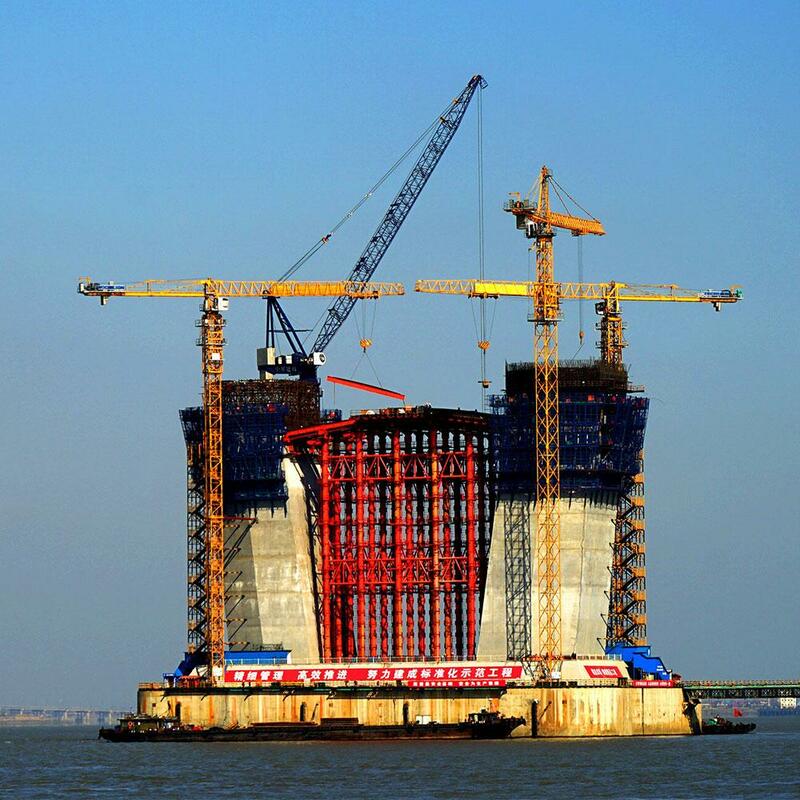 The wall formwork Top 50 with Doka Xface plywood allow high number of reuses. 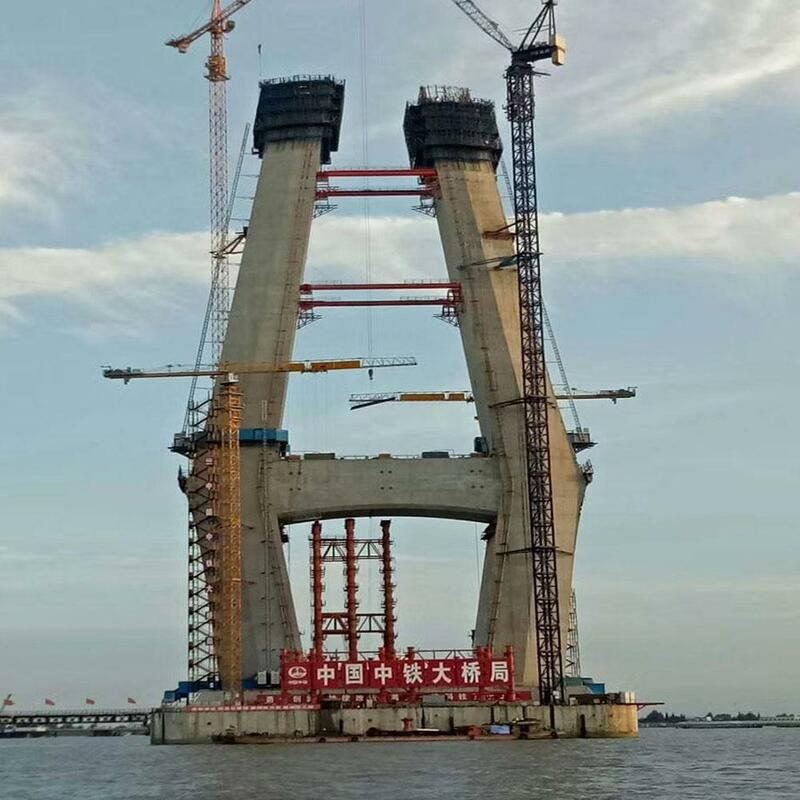 Thank you for your interest - Shanghai-Nantong Yangtze River Bridge. 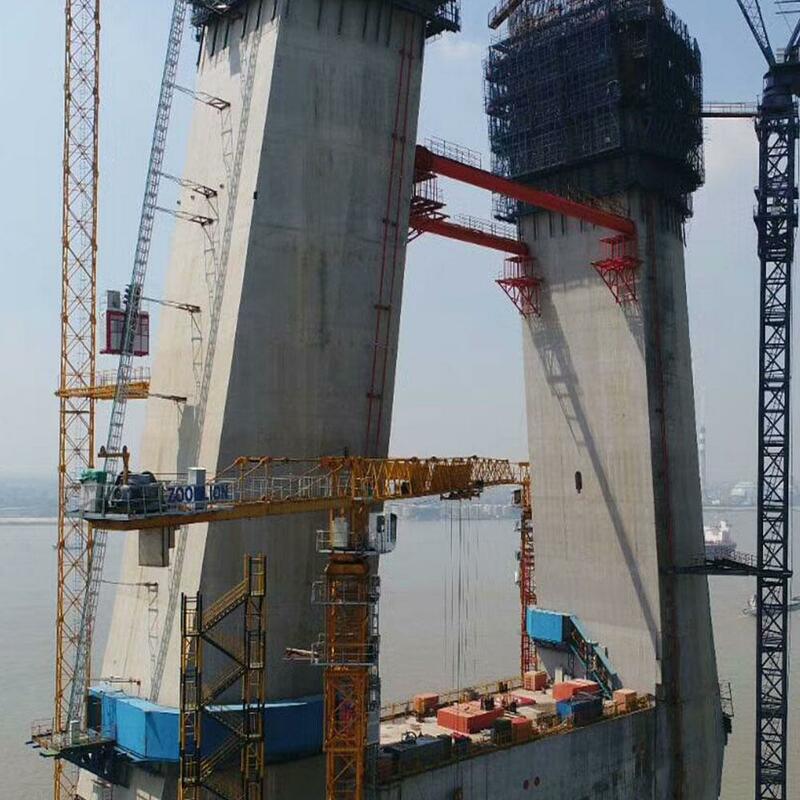 Thank you very much for your interest - Shanghai-Nantong Yangtze River Bridge.